There are more and more people turning to solar powered items. Solar power is everywhere. For example there is yard lighting available with solar power, homes and offices that run off solar power, and there are batteries that use solar power. However, what happens when your solar powered items can no longer hold the charge? This is where the only the best batteries for solar powered items are necessary, but do you know what makes a great solar battery? What to Look for in a Solar Battery? When it comes to solar batteries, there are two basic types. One is the flooded lead acid batteries, which are cheaper. They also tend to last longer. The downside to them though is that they do require maintenance to continue working as they should. The other type is a sealed battery. These batteries require no maintenance, but what makes them great is that they do not emit any of the corrosive fumes that may come from the flooded lead acid ones. You will also want to consider the amphours or amperage of the battery you are looking at. Pay attention to the numbers. Most batteries have a capacity listed such as 100 amphours (c10), which means that it starts at 100 amp and then discharges over a 10 hour period. If you have a battery that says 100 amps (c100) then it will slowly drain out over 100 hours of use. To decide which battery you need, you will want to figure out how much power you may need ahead of time. If your home or boat uses solar power and it is often cloudy more than sunny, you may want to choose a battery that drains out slower. If you have ample sun or a backup power supply that you can depend on, you may be okay with it draining out in a shorter amount of time. Either way, you first need to know the amount of amps you need to have all your gear run efficiently. Understanding your solar panel and battery system may also be important when it comes to finding the right battery. When using solar power, energy from the sun’s energy is collected within the solar panels. The solar panels are covered in a layer of material that produces both positive and negative energy to create an electric field, which builds up heat. The heat is then transferred into energy. 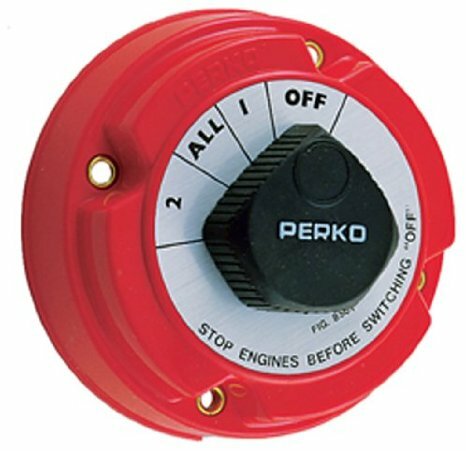 This energy is then transferred to an inverter that makes it usable in your home or boat through the regular AC outlets. When enough energy is collected, it can be stored for later use, during the night, on less sunny days, etc. Often when it comes to a solar powered home, office, or other large area, you will have a battery bank which is a lot of batteries that are all comparable in size and amps. This solar battery storage area will fill up with power throughout the day and hold it until it is used. On the next sunny day, your batteries will once again charge. Are Marine, Auto, RV Batteries Compatible With Solar? If you were to find a quality battery that can handle a deep discharge/recharge cycle on a daily basis, then it does not matter what type of battery you use for solar powered items. This could be automobile battery, golf cart battery or even an RV battery. However, as a general rule, you may not get as much life out of these type batteries. If you want economical, there are many who say that golf cart batteries are best, but you need to be prepared to buy a few at one time and pair them up. However, you may still end up replacing your batteries every couple of years. Before you settle on one type of battery for your solar powered setup, why not have a look at what others consider to be the best batteries for solar. Here are a few of the ones other people recommend. This battery is 6V which means that you will need two of them to get the recommended 12V battery power, however this does not seem to be an issue according to most people. 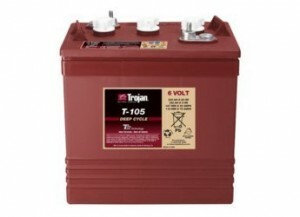 They enjoy the flooded lead acid battery because with a little effort it can last for many years. There is also a two year warranty on it to further give you peace of mind before you buy. This is the maintenance free type battery. It has an expected lifespan of 8-10 years, even if you are using it to power your home. Most people use these batteries in their RV and most people do not have any complaints about the quality of it. 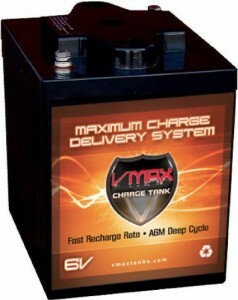 However, it is recommended that if you do not use solar power, you use a charging system that is approved by VMAXTANKS. You can use this solar battery backup for a variety of power supplies, including solar, wind turbines, and more. It is one of the few total battery solutions because it offers 12V 155AH. 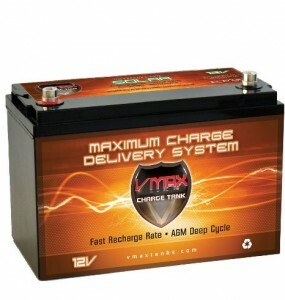 It is an AGM Deep Cycle Solar battery with military grade plates inside. It is maintenance free and safe to use indoors if that is where you need it the most.